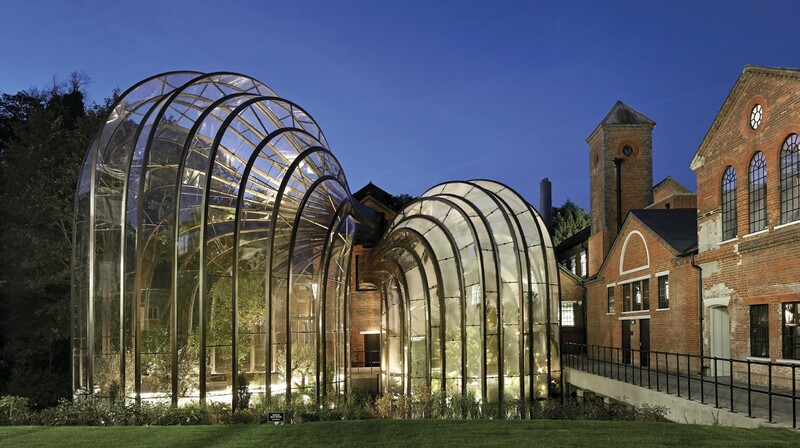 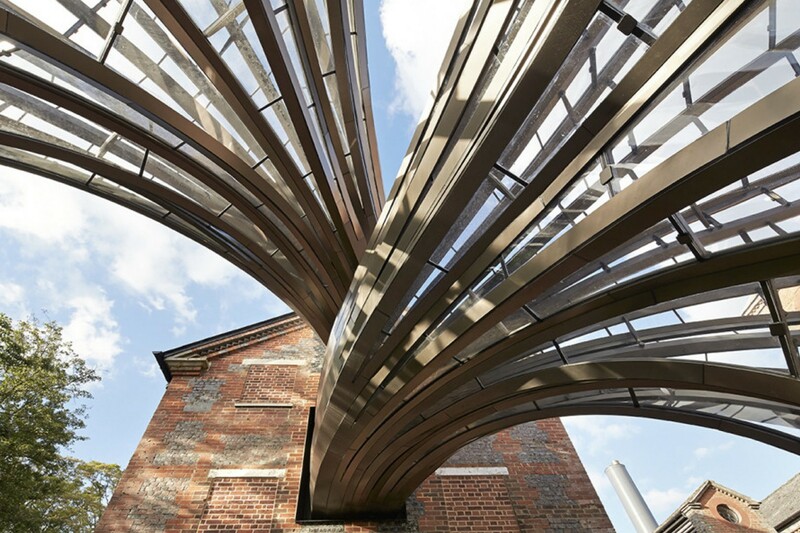 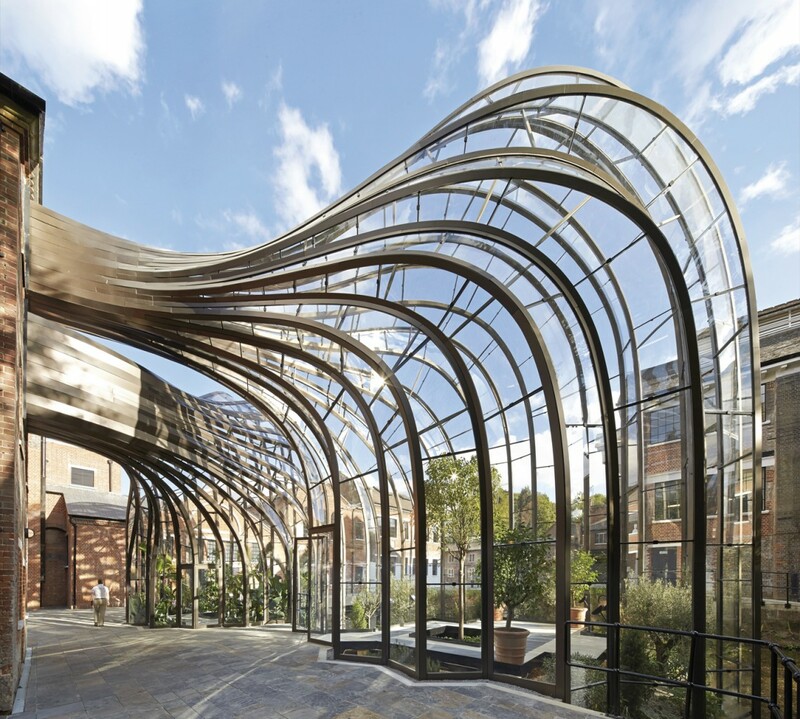 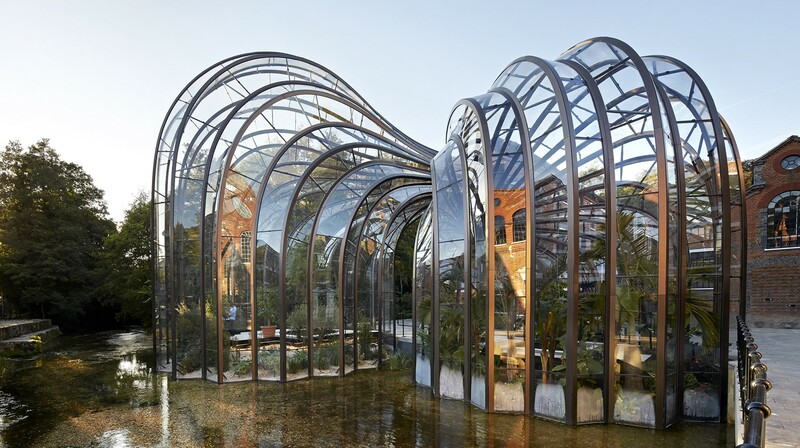 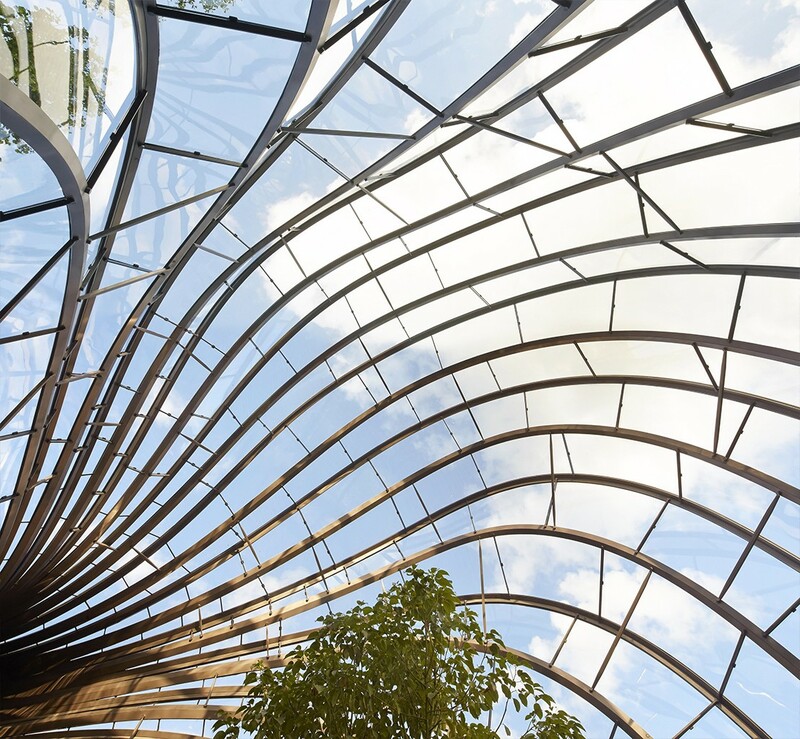 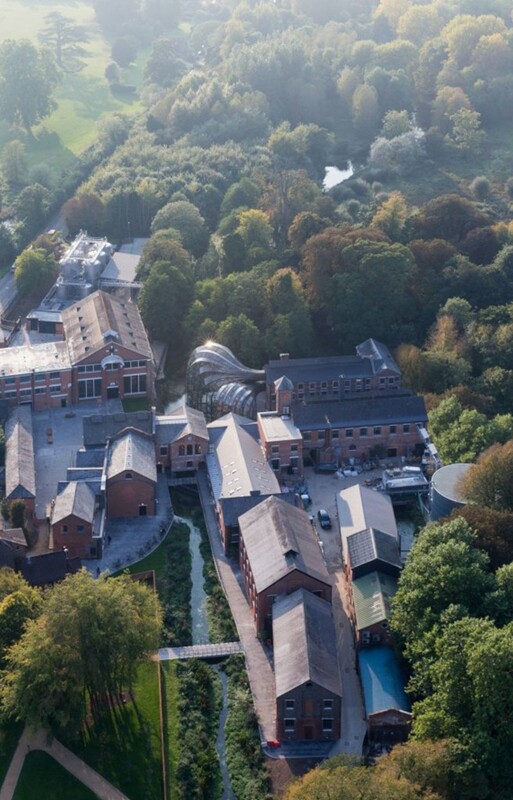 Designed by Heatherwick studio and situated on an industrial site of production since 900AD, Bombay Sapphire's new distilling operations are distributed into a campus of 23 restored buildings, organized around a widened river and central courtyard. 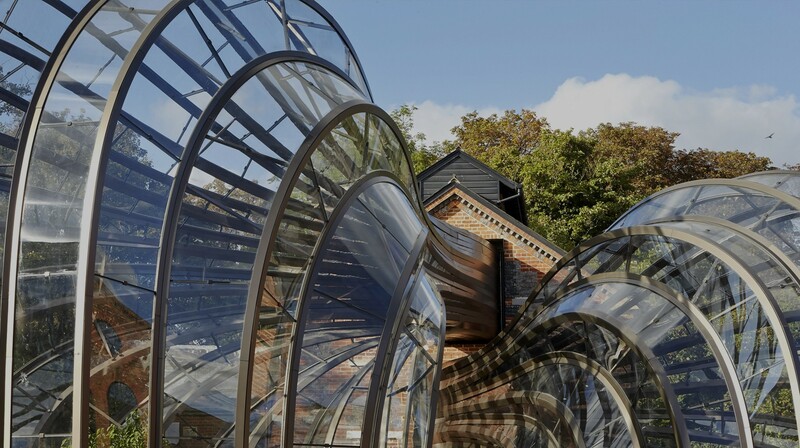 The BREEAM 'outstanding' rated project features two bulbous structures that seemingly float on the river, physically connecting Bombay's distilling operations to their historic site. 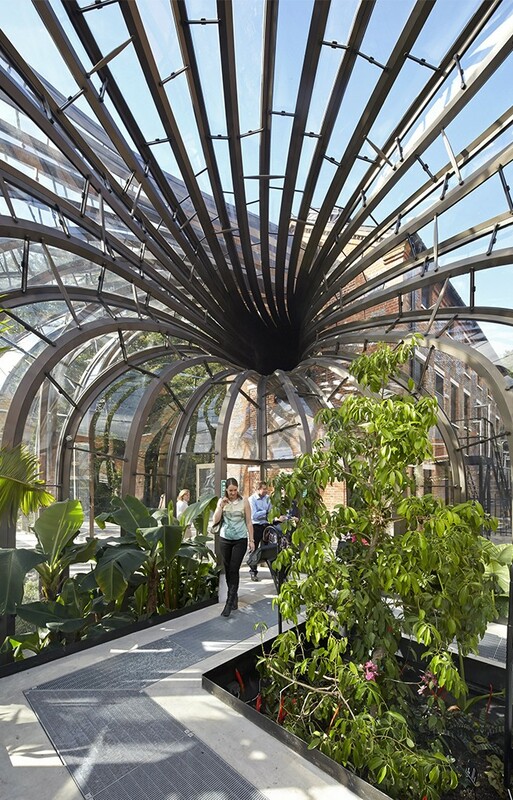 The glasshouses are comprised of 893 unique laminated glass panels framed by over 1.25 km of steel mullions.